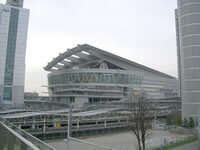 Omiya was one of the cities in Saitama Prefecture, but in 2001 it merged with two other cities to form the city of Saitama. Omiya developed as a castle town and a rest town of the Nakasendo; besides, omiya expanded with many factories. 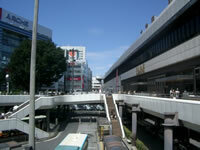 Known as an inmportant transpotation hub, Omiya station was build at the fork of the Takasaki Line. The Hikawa Shrine Festival is held in August. There are about two hundred Hikawa shrines in Japan, most of which are located in Kanto area, and the Omiya Hikawa Shrine is central. The Oyu Festival, known as "Toka-ichi" (means "Market on 10th"), is held on January 10. There are approximately a thousand of street stalls on the day of the festival.